This article is about exploring the concept of perspective and how it is vital to understand and respect different perspectives which is core to the IB values. Understanding the concept of perspective is very important for young minds. There is a compelling need to develop in students the disposition towards seeking and considering the points of views of others as it is core to the process of collaboration. In today’s world we must engage, collaborate and work together with others to be successful. Our unit of inquiry with the central idea of Stories can help me reflect on ideas and feelings was under the transdisciplinary theme How we express ourselves. We started the unit with a brainstorming and mind-mapping session on the important elements of a story (characters, setting, plot, ending). We began the inquiry by exploring the concept of perspective with sessions involving different versions of a familiar story – Jack and the Beanstalk (Garner, 1993). 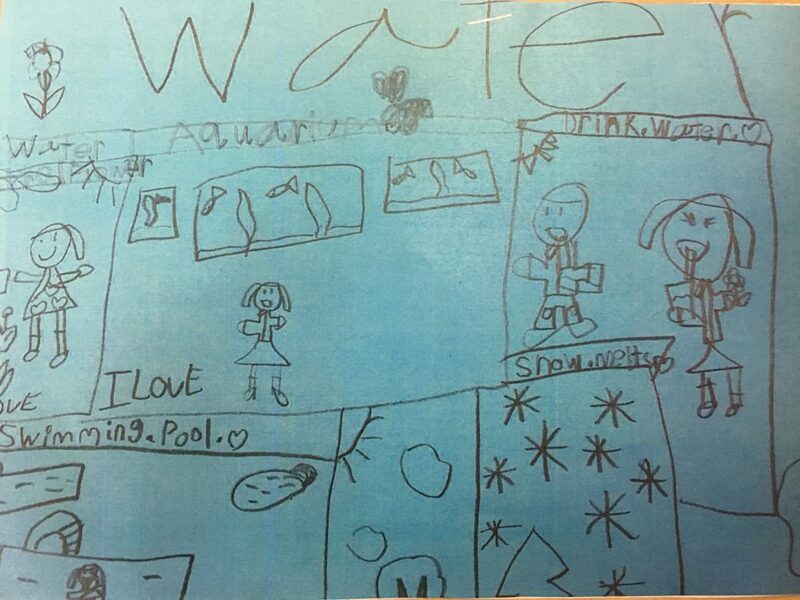 One of the main objectives of this engagement was for learners to identify the point of view in each story and appreciate multiple perspectives. Additional objectives included students creating their own versions using beginning, middle and ending guidelines and presenting them to their peers, thus sharing opinions and narratives. 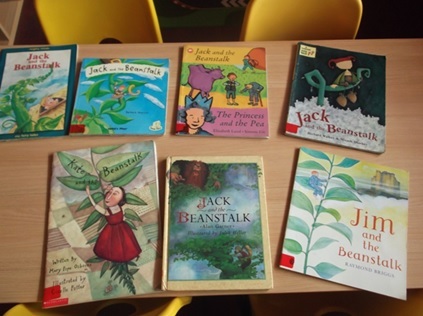 The many versions of Jack and the Beanstalk story that students had the opportunity to listen to in order to develop an understanding of the concept of ‘perspective’. This activity involved the students learning about content diversity and fostered higher order thinking skills as they came up with a plot for their stories. It also helped to capitalize on learners’ individuality and create authentic, meaningful experiences, facilitating a deep understanding of the challenging and abstract concept of perspective as everyone had the opportunity to create stories based on their individual and unique thought process. 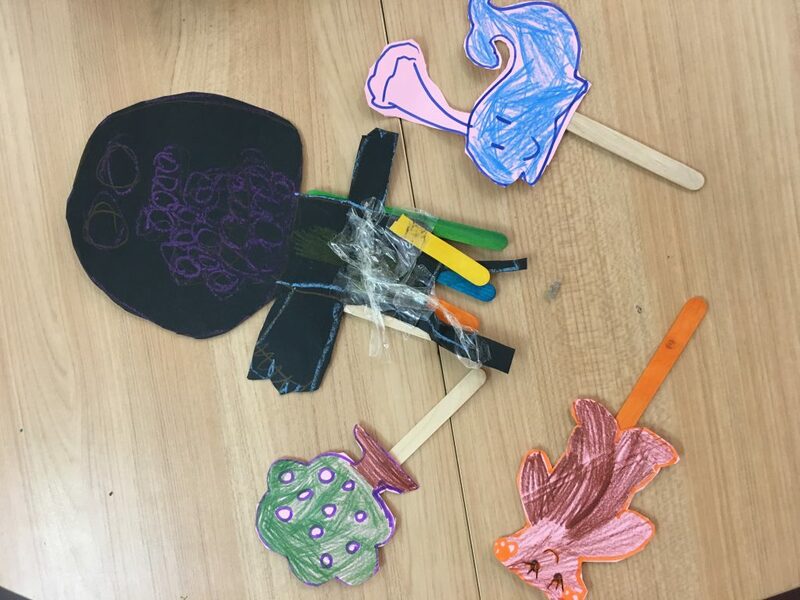 During these sessions students tried to organize their feelings, thoughts and opinions, employing imagination and creativity while writing their stories, and constructing puppets and other story art. They used varied media available in the class to create their stories. Some preferred to illustrate their stories, some made puppets, and some wanted to sing and dance while presenting their stories. The students were invited to present their versions to the rest of the class. They found it quite challenging to do so initially and gained a healthy respect for all those who put on a show. They enjoyed each other’s versions and gave feedback as to what they liked about the story, what could have been better or what else could be added to make it more interesting. To capitalize on the concept of perspectives, the students were invited to extend this engagement by presenting their stories as a puppet show for other classes and their families. Learners were communicators and open-minded through sharing their own ideas and views and appreciating their friends’ stories. 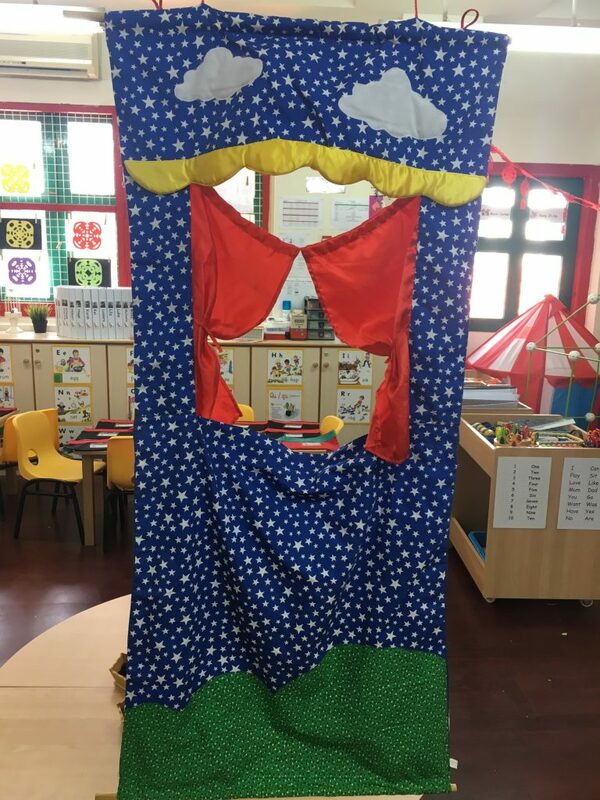 Puppet theatre set up in the class. Stick puppets made and used by the students to present the puppet show. 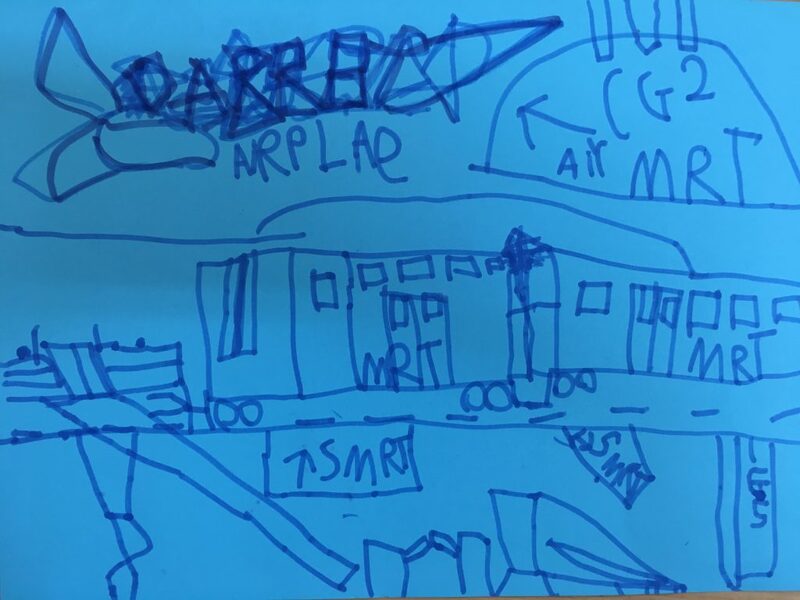 Often it is very difficult to explain perspective to 4-5 year-old children. This engagement worked well as the students understood this complex concept in a very simple and effective way. Overall the whole process was engaging and a memorable experience for everyone involved. Briggs, R. 1997. Jim and the Beanstalk. Puffin. Garner, A. 1993. Jack and the Beanstalk. Picture Lions. Laird, E. 2000. Jack and the Beanstalk. Mammoth. Osborne, MP. 2005. Kate and the Beanstalk. Aladdin. Vagnozzi, B. 2005. Jack and the Beanstalk. Childs Play International Limited. Walker, R. 2006. Jack and the Beanstalk. Barefoot Books. Whitehall, J. 1993. Jack and the Beanstalk. Mighty Minds. 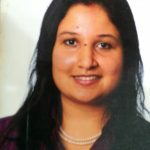 Asmita Sharma works as a core teacher K1 and a PYP Coordinator at EtonHouse Preschool in Singapore. Teaching is learning for her and she finds a connection with the Chinese proverb “Tell me and I forget, show me and I remember, involve me and I understand”. Great inquiry journey on stories. Our current unit is also on stories for 4-5 years olds, and there are so much ideas we can adopt from this article. Thank you for sharing, Asmita. I totally can relate with this. We did this in our “how we express ourselves”. It’s one of the best experiences i had with children. When they had been thrown hypothetical questions, they just opened themselves naturally and came up with many perspectives. Glad that you liked it. Thanks! That’s really a great effort of making tiny tots understand the concept of perspective through stories.